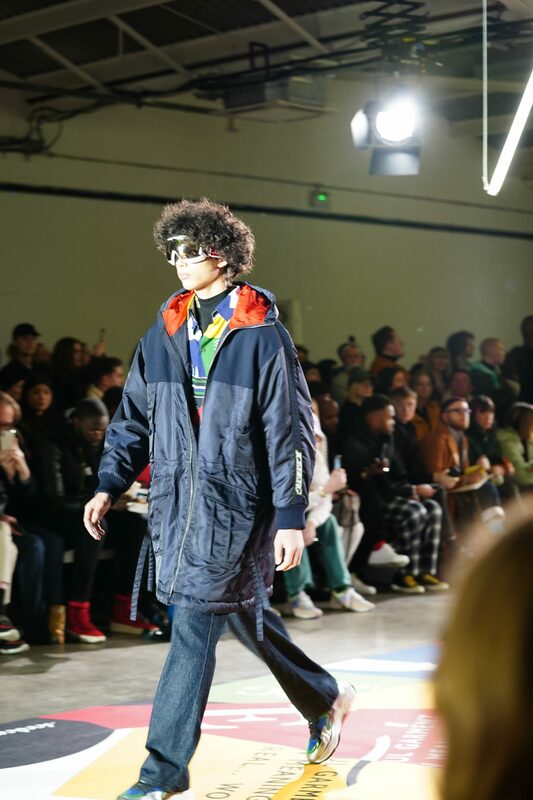 London Fashion week men AW19 was a real short and sweet one (literally only 3 days compare to 5 days last season), which is a sign that we may not be fortunate to have it going for much longer. 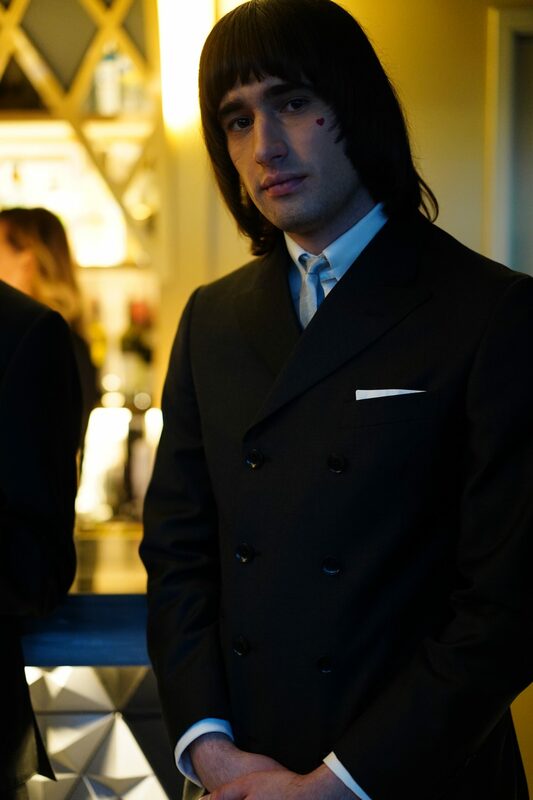 But despite their still being an absence of the legendary brands of past and the rumours of the end of LFWM, we were still given quite a show as the fashions world’s most stylish came out to play. 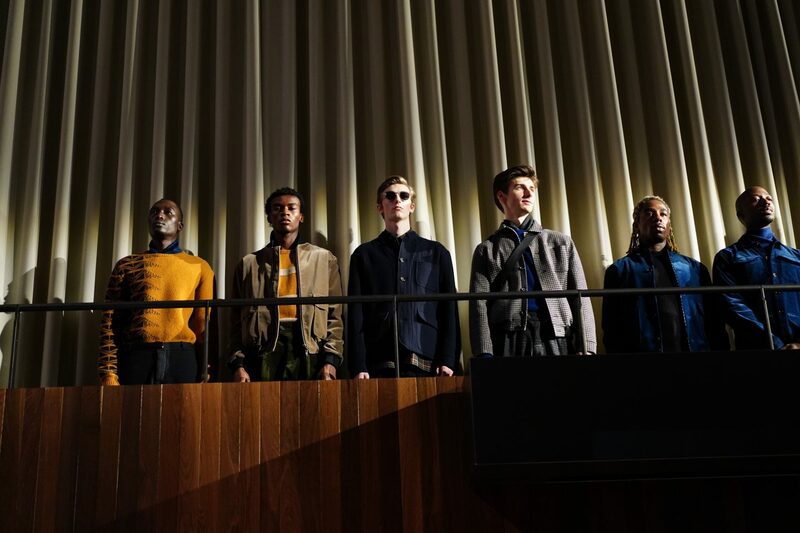 The Alex Mullins AW19 collection this LFWM shows us yet again that with good consistency, you will always go far. Although the new season collection was a rather large one in terms of options, it did show us a wide variety of shapes colours and textures. Oversized coats, suits, jackets and trousers were the key patterns through the collection. Another significant observation was Alex Mullins use of female only models. 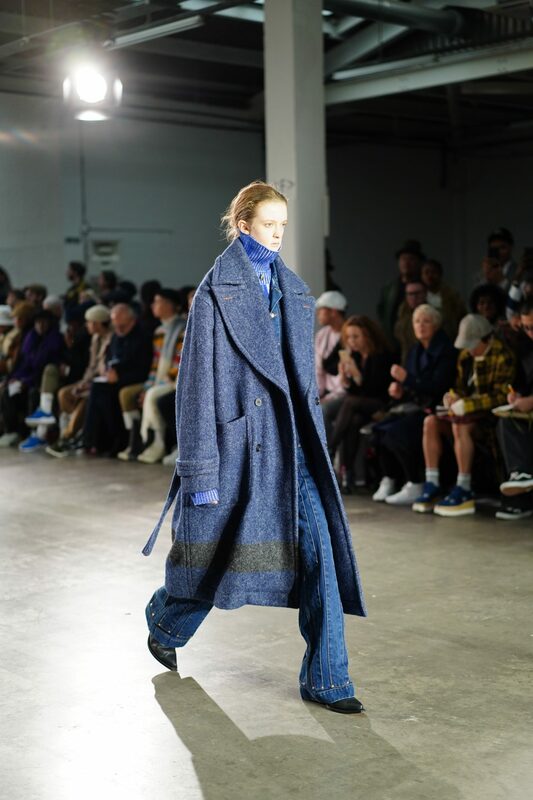 Not sure if this was a stand for gender equality or again, a sign of the future of LFWM. One thought that did fly around the scene that weekend was how confusing this message was, when it comes to the product. 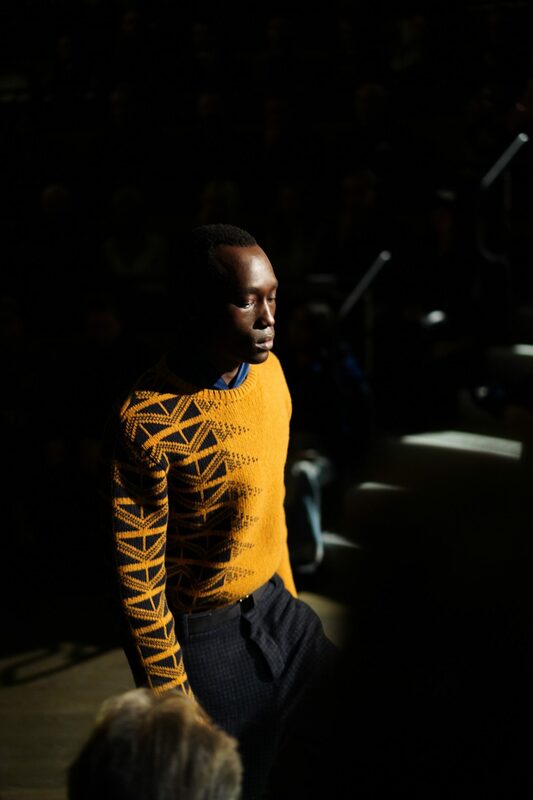 We loved everything that came down the catwalk but, was it for men or everything planned to be gender neutral. We shall see! It’s the return of Iceberg, well for us anyway and in a couple of ways. Firstly, we haven’t personally seen anything from the brand since circa 2005 (where our direction of style has shifted over the years). 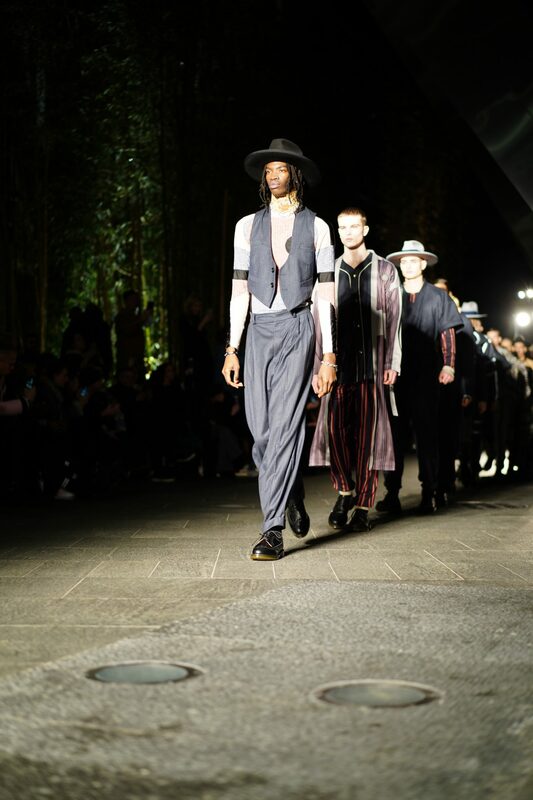 And secondly because after watching their show at LFWM, they’ve come through with some strong statements in their AW19 collection. With the world rapidly putting its shirt and tie down and breaking the concept of formality all together Iceberg’s direction of flow seems to fit in nicely in the evolving style of today. 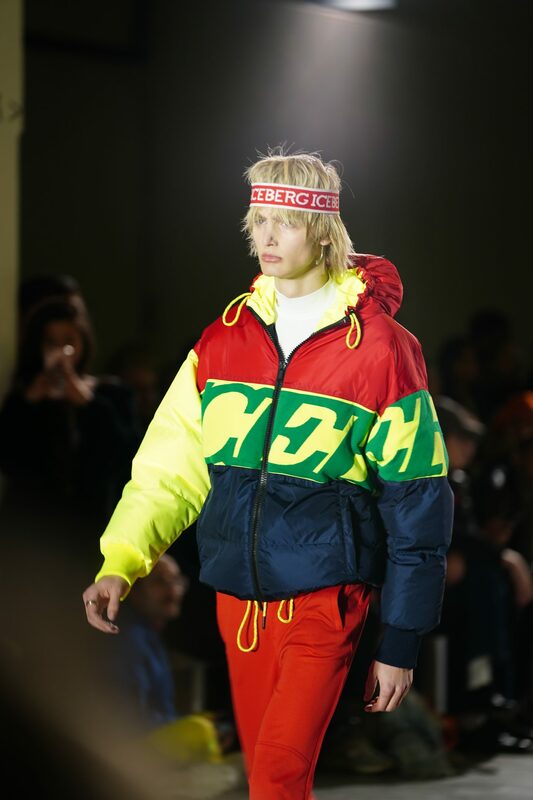 The streets will rejoice in the shapes, colours and oversize statement that screams out in Iceberg AW19. Some piece is killer but like anything, some pieces are way passed the point of being wearable. But I have to say, I’m feeling Iceberg more than ever before! 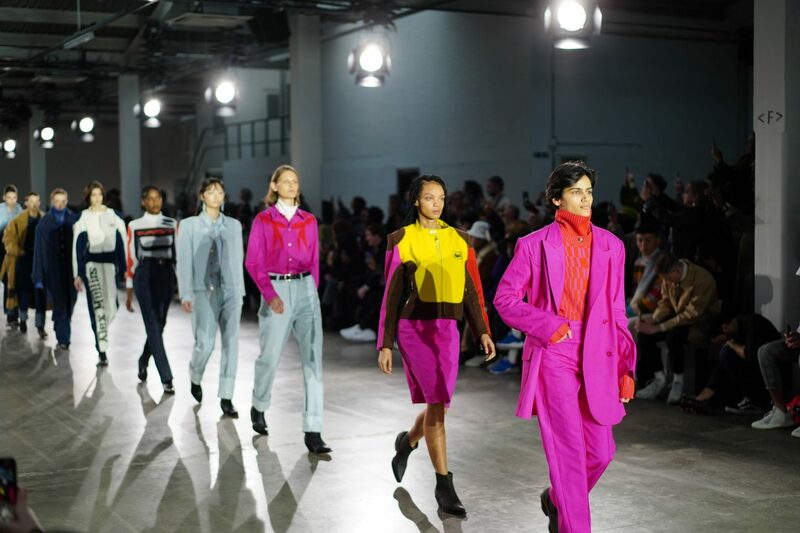 From collabs with Topman, to having one of the most eccentric collections in the industry, we’ve been lucky enough to see Astrid grow over the years and this AW19 collection is a fantastic example. Located in the rather contrasted space in Bishopgate, we saw the new AW19 Astrid Andersen collection come to life in a juxtaposed surrounding of corporate aesthetics and iron support beams. What can we say about the new season collection from Astrid other than it being simply epic. It was full of all the things we look out for; detailed, textures, shapes, prints, wearable. 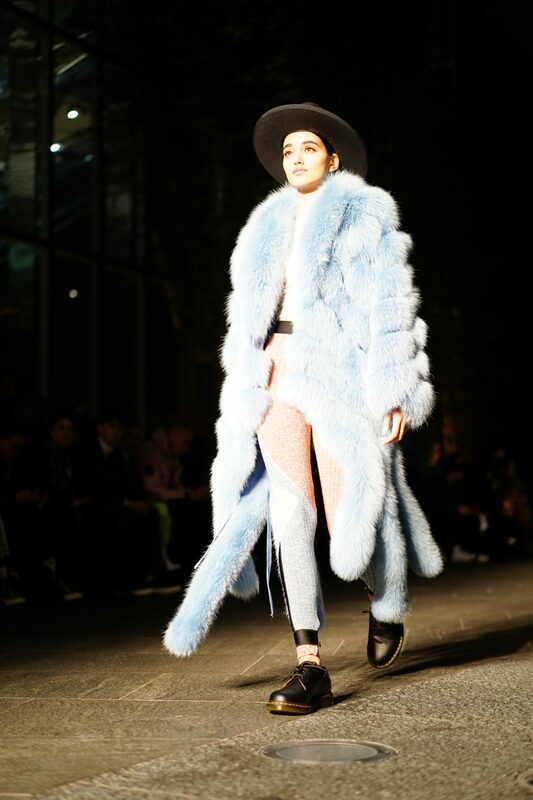 The piece that really stole the show for me (and it was a womenswear piece) was the blue coats above. New brand alert, well for us anyway. Not heard or seen anything from the tailoring rand Velsoir, but better late than never. 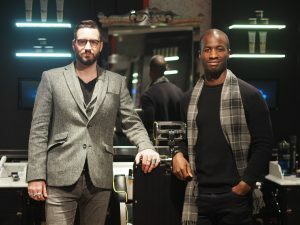 Its nice to see that there is still an injection of tailoring in the world of menswear. Velsoir offered us more of an occasionwear element, with a slight twist in styling. Several pieces included your classic black tux and velvet blazers, the ideal mould to fit any occasion. Keep it coming Velsoir, we like what we see. Last but certainly not least, comes the brand we’ve enjoyed for many years. 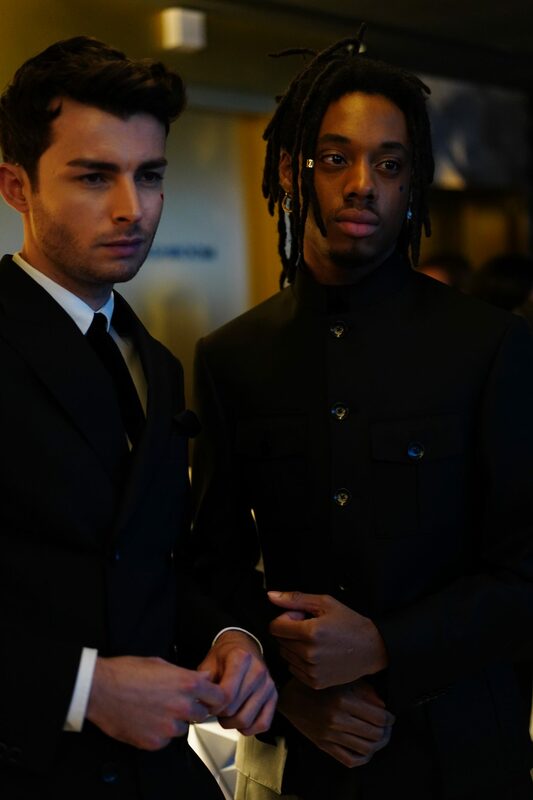 Not just because of their impeccably entertaining fashion shows but also because without fail, Oliver Spencer always delivers a strong range. The British brand shows all of their audience that he still has the right ammunition in the chamber, with yet another swoon worthy range of clean and detailed styling with UK-sourced eco-wools at the centre of most of the pieces. Expect patchwork stripes, utilitarian bomber jackets and best of all, the corduroy co-ord pieces (reminding us that the re-ignited romance for cord isn’t fizzling out anytime soon). One thing is for certain, the world of menswear still has a lot to offer to the world and we cannot wait to see it all hit the shelves. And as for the future of LFWM, well only time will tell.